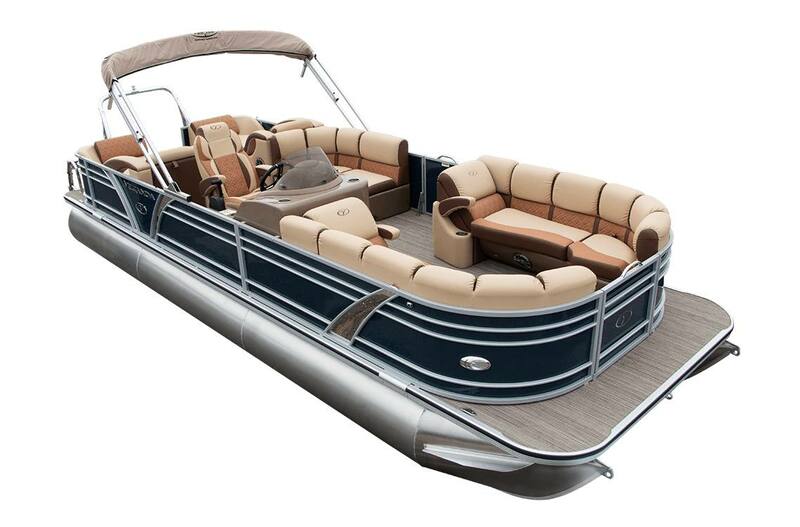 Why choose the Veranda Luxury Pontoons VP Series – RFL? Veranda’s VP Series RFL begs you to stretch out, sink deep into luxury as you enjoy a relaxing time with friends and family. Our skilled artisans handcraft each boat with a critical eye toward every detail, no matter how big or small. The Veranda difference will separate you from the rest of the pack on the lake. With elegant styling and quality workmanship, the VP RFL provides absolute comfort you can always count on. Max. Person Capacity: 11 / 1,551 lb.